There are books for children and then there are books for ALL OF US that only look like they’re for children. 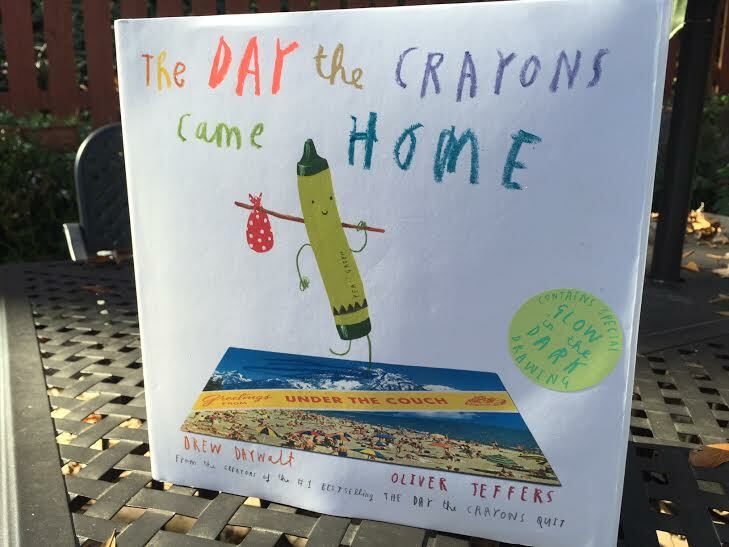 The Day the Crayons Came Home, Drew Daywalt’s hilarious, profound story about Duncan and his wayward crayons, is the latter, a must have for EVERYONE on planet Earth. 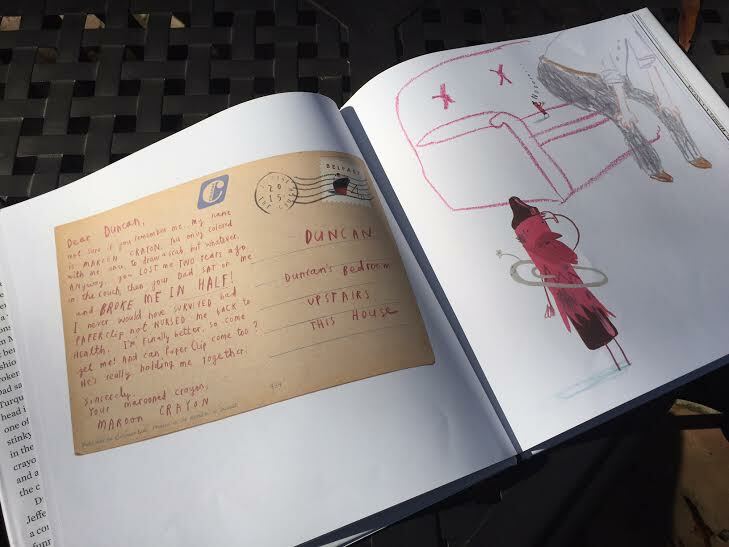 Duncan is minding his own business, coloring with his crayons, when he receives a stack of postcards in the mail. Each crayon has sent him his own tale of woe. Maroon has been sat on by Duncan’s dad and broken in half, Yellow and Orange were left outside and melted together in the sunshine, Tan has been eaten by the dog and then puked up on the carpet, and Turquoise has a sock stuck to his head thanks to a spin in the dryer. And that’s just a few of them. Won’t Duncan come to their rescue? Duncan gathers them up, but to his dismay, these lost and forgotten, broken and neglected crayons were so damaged and oddly shaped that they no longer fit in the box they came in. 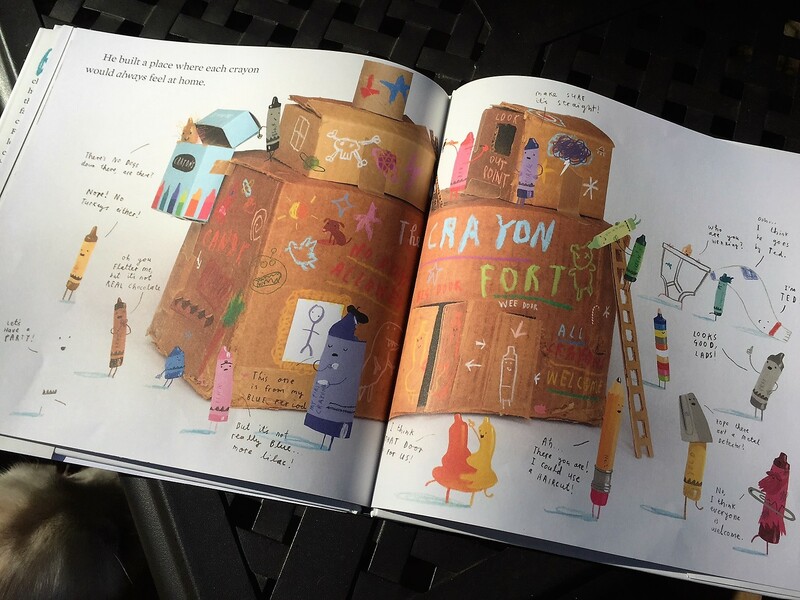 What is a crayon-loving boy to do? Duncan builds them a box where each one can feel at home. It’s God’s Kingdom for Crayons! A home for the broken and lost! For the forgotten and neglected! For the ones whose lives has been chewed up and spit out on the carpet! For all of us! I am too! We all are, aren’t we? Hooray for a God who gathers us up when we’ve made mistakes or when bad things happen to us. Thanks be for a God who build us a home where all are welcome, no matter what! And thank you, Drew Daywalt. I forgive you for the Axe. I’ll think of it as holy incense from now on. At least I’ll try to.